Hawaii is one of two states to not offer any form of regulated gambling. However, that doesn't make them the worst state for poker players. There are plenty worse. Hawaiians are still able to play home games, and despite online poker being a grey area, residents are still able to find online poker sites that accept customers from Hawaii. So as a resident of Hawaii, you do have options. Hawaii doesn't have a law that address online poker or gambling. So you have to look to other statutes to get an idea of where they might stand. (3) "Contest of chance" means any contest, game, gaming scheme, or gaming device in which the outcome depends in a material degree upon an element of chance, notwithstanding that skill of the contestants may also be a factor therein. (4) "Gambling". A person engages in gambling if he stakes or risks something of value upon the outcome of a contest of chance or a future contingent event not under his control or influence, upon an agreement or understanding that he or someone else will receive something of value in the event of a certain outcome. 5) "Gambling device " means any device, machine, paraphernalia, or equipment that is used or usable in the playing phases of any gambling activity, whether that activity consists of gambling between persons or gambling by a person involving the playing of a machine. Although poker is considered to be a game of skill, there is enough of a luck element to rule it a contest of chance, which makes it gambling. On top of that you could assume that your computer and related components fit under the umbrella of gambling device. All of this considered, I would say that online poker is illegal in Hawaii. But no one has been arrested for it to the best of our knowledge. US poker sites still accept customers from the state, too, despite excluding players from other strict states from joining. Home poker games fit under the social gambling statute. §712-1231 Social gambling; definition and specific conditions, affirmative defense. (a) Definition. So long as no one makes money from house fees, rake, beverages and so on, then a home game is perfectly fine. Players need to be 18 or older, too. That said, that doesn't necessarily mean that police won't come knocking your door down. There was an incident in August 2012 where a poker game was raided in Maui. The operator of the game was charged with 2nd degree gambling promotion and possession of a gambling device. His bail was set at $400 and the others at $200. However, from the looks of it their game was perfectly legal under the aforementioned statute. Do Casinos in Hawaii Offer Poker? At one time Hawaii offered horse racing during the late 1800s and early 1900s. However, that ended by the 1950s. Now you won't find any form of regulated gambling. There are no casinos. We receive a lot of questions about state poker laws and the specific laws in Hawaii. We thought it'd be helpful to post those questions and our answers here. 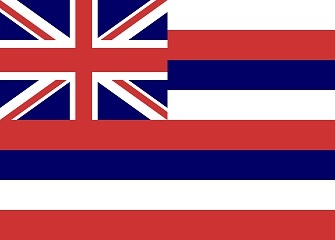 Will online poker be regulated in Hawaii? Given their stance on gambling in general, and that they have no casinos within the state, it doesn't look like they will be regulating online gambling anytime soon. In fact, a poll was taken recently asking the residents of Hawaii their views of legalized gambling within the state. The majority stated that they'd like to keep all forms of gambling illegal. Although we deem it unlikely for Hawaii to regulated online gambling anytime soon, that doesn't mean there hasn't been any efforts. Below you'll find a timeline of efforts made to regulate gambling in Hawaii. This was a failed attempt to redefine poker as a game of skill, to ultimately allow online and land based poker sites to exist. Is there an online poker room that accepts players from Hawaii? Yes. You can play at any site that accepts US customers including BetOnline, Sportsbetting Poker and Bovada. What other forms of regulated gambling is offered in Hawaii? There are none, which includes bingo and state lottery. Where can I read more about Hawaii poker laws? Here are some interesting facts about gambling and poker in Hawaii. It is illegal to charge for food or beverages at social gambling events. One nickname of the poker hand QJ is the "Hawaii." It's earned that name from various pros because they say that if you don't play QJ for a year you'll save enough money to take a trip to Hawaii. That's funny! The state of Hawaii can even confiscate the chair you sit in if you're suspected of gambling. §712-1230 Forfeiture of property used in illegal gambling. Any gambling device, paraphernalia used on fighting animals, or birds, implements, furniture, personal property, vehicles, vessels, aircraft, or gambling record possessed or used in violation of this part, or any money or personal property used as a bet or stake in gambling activity in violation of this part, may be ordered forfeited to the State, subject to the requirements of chapter 712A.